A three-dimensional axisymmetric mathematical model, including the influence of the swirl exiting in the plasma torch, was developed to describe the heat transfer and fluid flow within a combined plasma arc. In the model, a mapping method and a meshing method of variable step-size were adopted to mesh the calculation domain and to improve the results precision. 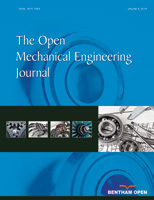 To overcome a problem from a coexistence of non-transferred arc and transfer arc and a complicated interaction between electric, magnetic, heat flow and fluid flow phenomena in the combined plasma arc, a sequential coupling method and a physical environment approach were introduced into the finite element analysis on jet characteristics of the combined plasma arc. Furthermore, the jet characteristics of combined plasma arc such as temperature, velocity, current density and electromagnetic force were studied; the effects of working current, gas flow and the distance from the nozzle outlet to the anode on the distributions of temperature, velocity and current density were also revealed. Compared with the collection and diagnosis on the combined plasma arc by CCD, the results show that the simulated value appears to be in good agreement with measured value, and the temperature of combined plasma arc is much dependent on the working current, while is less sensitive to the argon flow rate and the distance from the nozzle outlet to the workpiece anode.